The dialogue between naturalness and plasticity runs like a red thread through the works and the aestheticism of Patricia Urquiola. 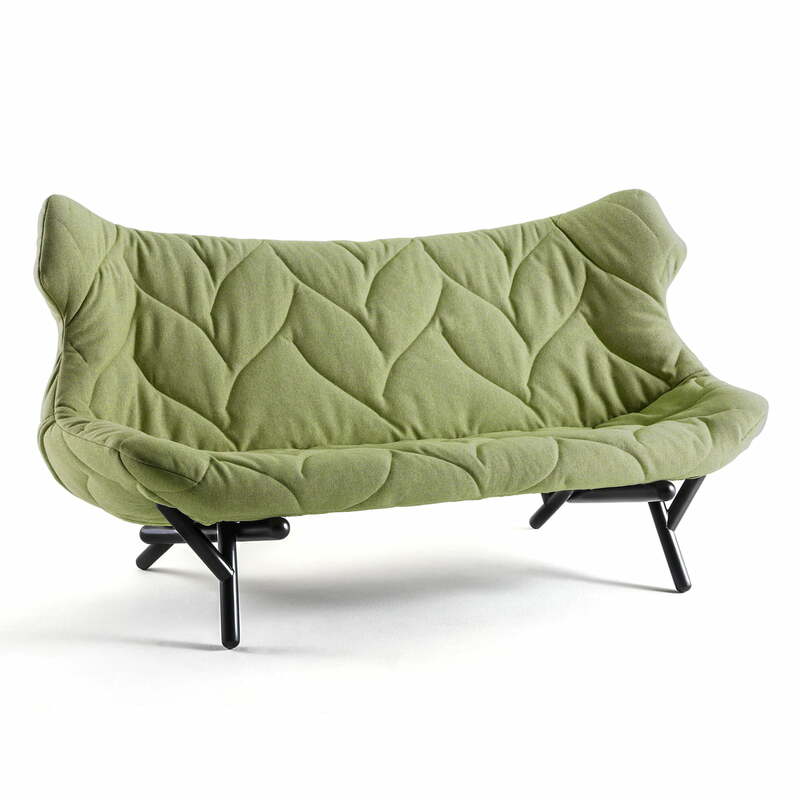 This is especially visible in the Foliage sofa, made by the Spanish designer for Kartell. 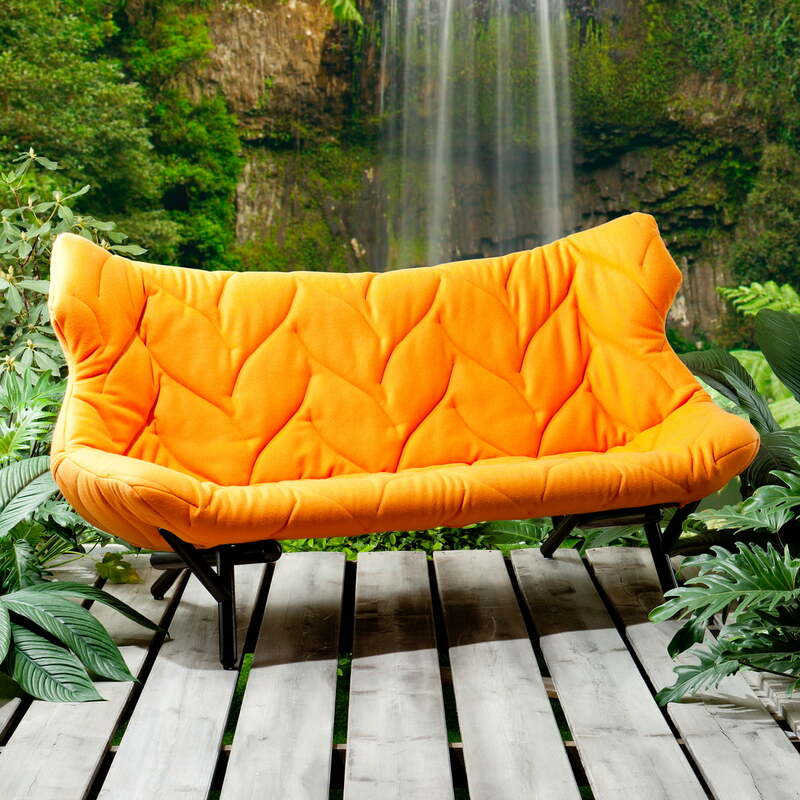 The Kartell Foliage sofa was especially made for homes and it has an appearance inspired by nature, which acts as if the Foliage sofa “grew”. 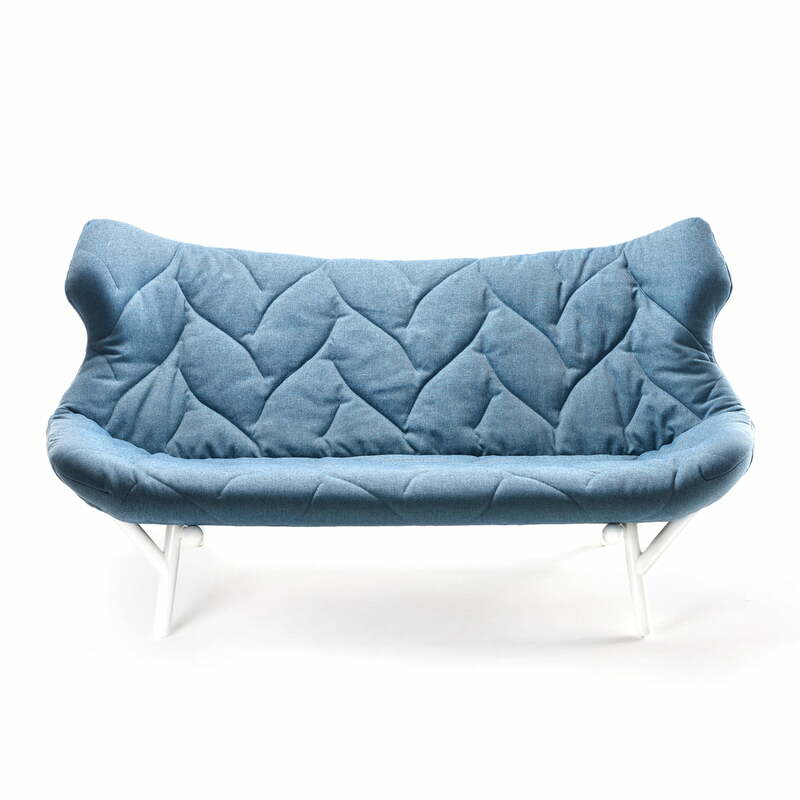 The painted metal frame serves as tray for a comfortable seat of PU foam, which reminds us of a tree, whereby the leaves are drawn by the quilting seams. 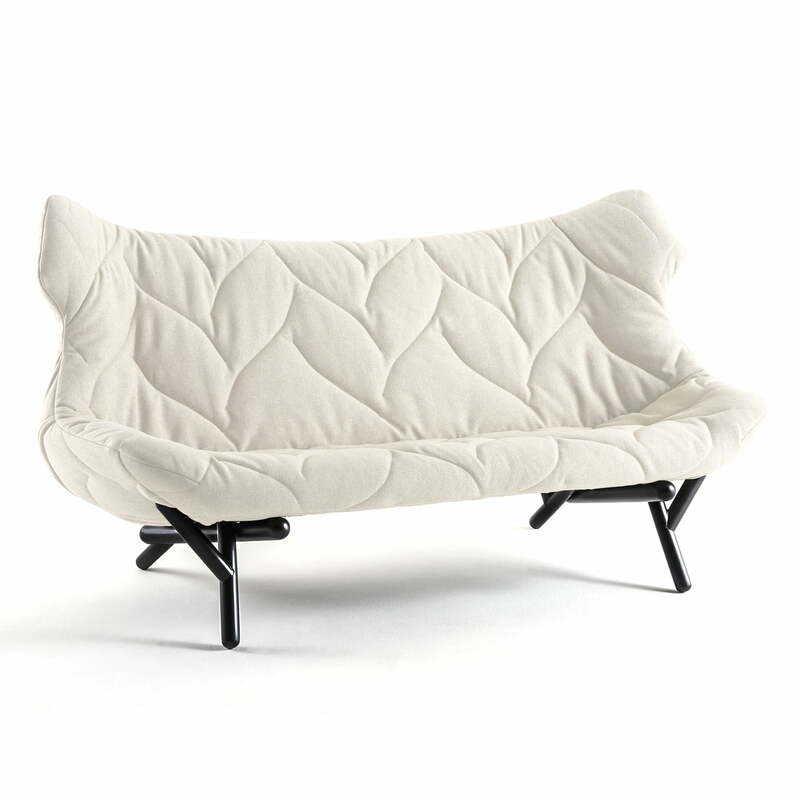 The covers of the Kartell couch are made of pure new wool or of Trevira (100% polyester) and available in different colours, which are combined becoming original white, black or red legs. 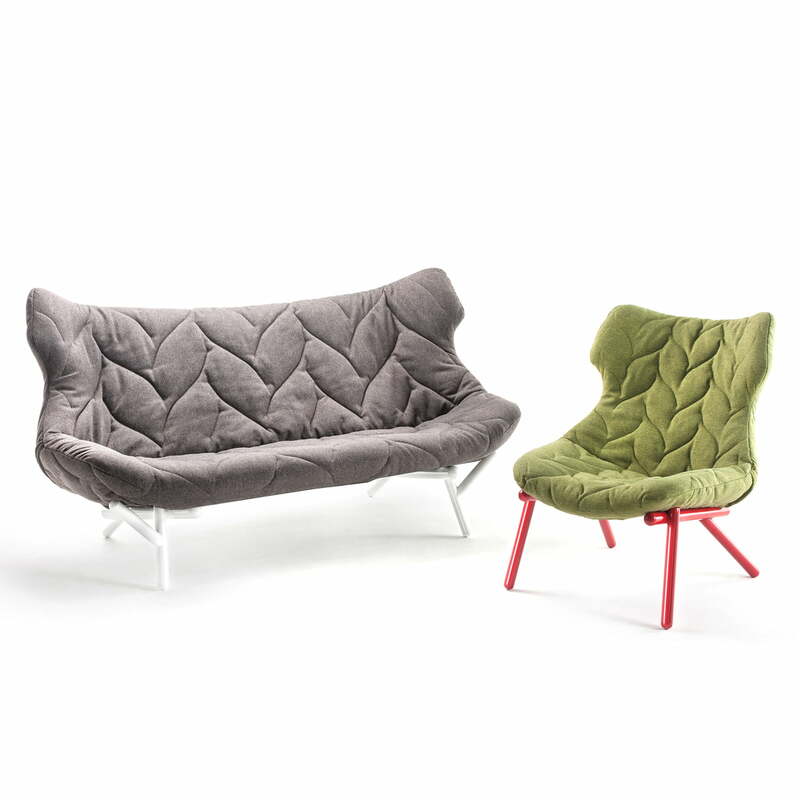 An armchair is available suiting the sofa of the Foliage series by Patricia Urquiola.